There&apos;s no doubt that China has a new found passion for cars. With a growing middle class that&apos;s finding themselves in a comfortable financial position, automakers world-wide are going all out to exploit what is now the world&apos;s largest car market. Honda has joined Nissan&apos;s new sedan, the Sunny, to debut a new small sedan of their own at the 2010 China International Automobile Exhibition. Called the S1, the four-door S1 will be offered with either 1.3 or 1.5-liter gasoline engines. 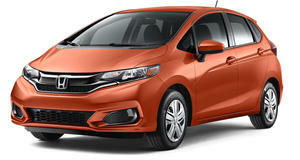 It is based off the previous generation Honda City (aka the Fit/Jazz). This is somewhat strange, considering the new model was released in 2008. More than likely, this is a cost-cutting measure. Honda is hoping to attract a younger crowd in China with the new small sedan, and they&apos;ll most likely succeed in doing so. However, the S1 will be marketed under the newly formed Li Nian brand, which is a Chinese joint venture owned by Honda and the Guanghou Automobile Group.